For years, I thought I was the only traveller who was regularly scared and anxious about travelling. Much to my surprise, I more recently discovered that a huge number of my fellow travel-lovers and regular travellers have all kinds of anxieties and fears about various aspects of travelling. But all of them (and me) have one thing in common: the joy, inspiration and lessons we get out of travelling outweigh these fears and so we all decide to do it anyway. In this episode of The Thoughtful Travel Podcast I chat with two very frequent and experienced travellers about the issues of fears and confidence, particularly when you travel solo as a woman – arguably the most fear-inducing kind of travel, I think? If you’ve also been (or still are) anxious about any aspect of travelling, I’d love to hear about it and whether it stops you from getting out there or not – leave a comment below. 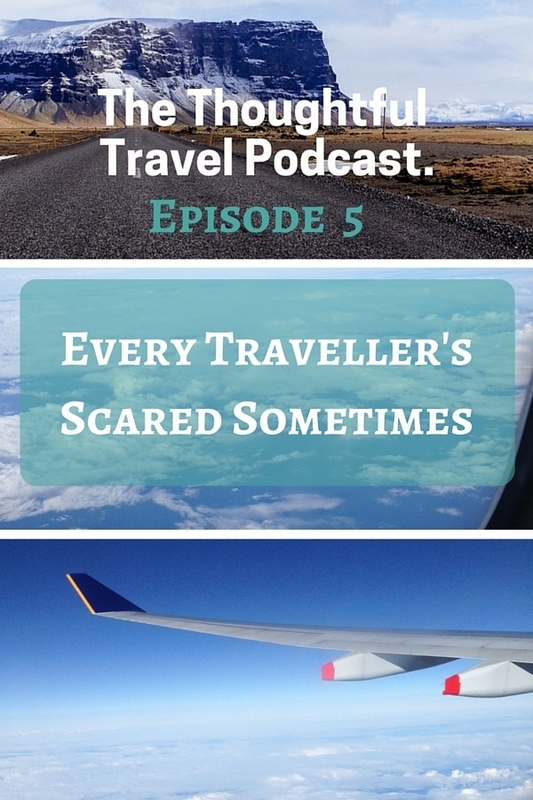 Episode 5 of The Thoughtful Travel Podcast is partly about fear, and partly about confidence. I think they go hand in hand when it comes to travelling! I’ve certainly experienced my share of fears about travelling and I know I’m not alone. My first guest today is Leyla Giray Alyanak of Women on the Road, and although she’s one of the people I think of as a guru in the solo travel for women area, she confesses that she has a bunch of fears related to travel, and I think that’s important for all of us to realise – we can be scared, but we can still travel. Following Leyla, I share a great chat with Bethaney Davies of Flashpacker Family, who tells me all about the first time she travelled on her own. Let’s just say it started with a week of tears in her hotel room but got far better than that.